Happy Valentines day to those who celebrate and happy Thursday to those who do not. Since today is my posting day and I do love a good romance in a book from time to time I thought I would share some of them with you. Now, I know that not everyone is going to agree with my choices, but the great thing about books is that there are so many that everyone can find the ones they enjoy. Now, on to the books I love with love! This books revolves around a family curse where only bad things happen when you find the person you fall in love with. 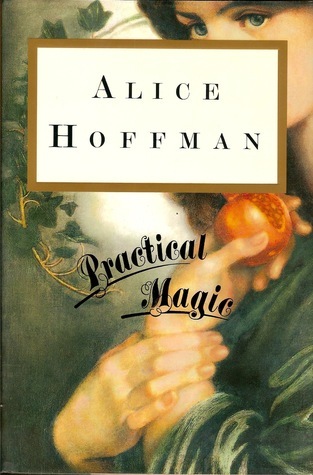 It is the prequel to Practical Magic and I absolutely loved the various relationships in this book. While I was heart broken quite a few times it was wonderful seeing some of the characters find love. This book was so adorable and so cute. I read it in a single day, that is how much I liked this book. I also loved how the relationship started in this book because I can relate to it on some level with my boyfriend. In addition, I felt like I learned a lot while reading it too. This book really had me smiling at multiple points. The relationship in this starts in such a funny way, but seems to genuine. While they have their share of drama and things working against them I enjoyed it a ton. I fell in love with this book. I found it funny, cute, and I not only enjoyed the romance in this book, but I really liked the friendship and honesty inside of it as well. I feel like at this point this entire book is me just gushing how much I enjoy all of these books, but this book was adorable, but a mystery as well. I highly suggest this book. It is cute, has great characters, and it is just adorable and wonderful. This book is a classic I am just in love with. I love the relationship and love felt within their family, Jo and her man, and Meg and her husband. 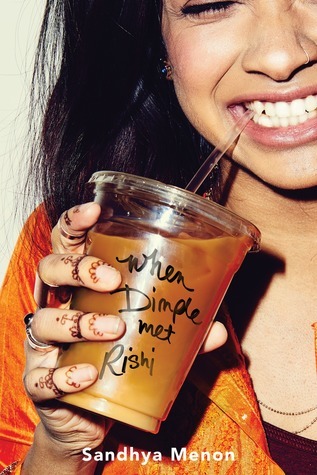 I just really enjoy all of the relationships that blossom in this book and in this series. What book romance do you just love? What did you think of my choices? Are there any books you would ad? So every year there are always a few books I am really excited to read. I make it a semi-goal to read them by the end of the year because I have a very good feeling I am going to like them all very much. While a lot of people have been posting the 19 books I want to read, I am going to keep mine at 9 because I don’t want to just throw some books in that I am not nearly positive I will love. So, where are the books I really want to read in 2019! This is a book I am very much interested in. I have read a few of Shannon’s books in the past and I really enjoy her creativity and her writing. When I found out she was writing a standalone I was very much excited. Between the teasers and cryptic tweets from her as well as the mention of forbidden magic, I was pulled in and I preordered the book. So, this is a little sneak peak or a throw back to my Christmas Haul. I am unsure of when I am actually going to post this so it could go either way. Anyway, I received this from someone at work and I have to say they really surprised me by picking a book I love the sound of. 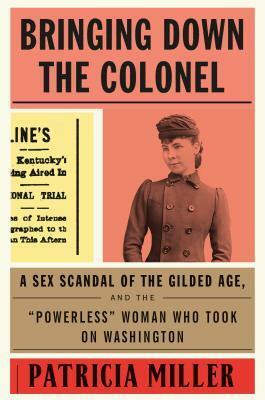 This is a nonfiction account of one of the first women to sue someone of power during the gilded age in the USA. I am curious to see how this topic is handled and if it becomes biased. This is another book I have preordered and I am excited to get it in the new year. 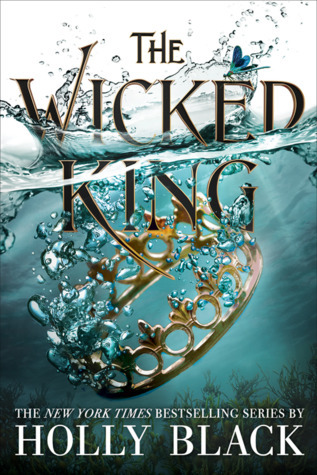 I have always liked Holly Black and I read the first book in this series a few months ago. I ended up liking it more than I thought I would and decided I was going to jump into this continuation. I want to know how two characters in particular deal with one another. I wish I could say more, but I don’t want to spoil anything. This is a novel I picked up in my local independent bookstore. I just happened to be roaming and I came across it. 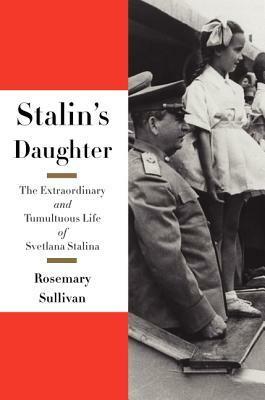 This book has a bit of buzz around it and I read the description and I am very much interesting in learning more about the daughter of one of histories more notorious figures. It seems to be pretty straightforward and I am judging on its size is going to be very detailed. I picked this up from Book of the Month a few months ago and I really want to get to it. 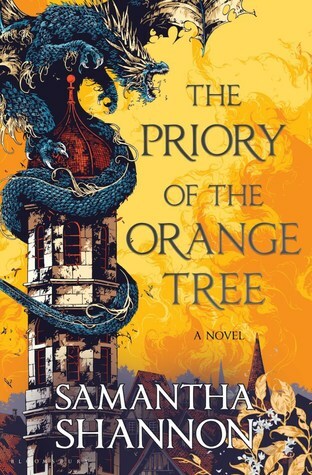 It seems like a mix between a historical fiction and a thriller and I am excited about it. I mean, I love history and I have been really enjoying thrillers, how can I not like this book? On top of that I have been hearing quite a few wonderful things about it. So this book has a very interesting dejcitption. There is mentions of scientists, near death experiences, strangers, and talking trees. While that seems all over the place, it kind of is, but when you read the entire description it sounds a lot better. Anyway, I picked this up on a whim mainly because it sounds like it has to do with nature and protecting the last of the forests on Earth. Plus, how can you not be pulled in when all those things are mentioned in the same description? This is a kinda historical fiction, at least I think it is. It talks about women throughout history doing this they feel they need to for one reason or another. 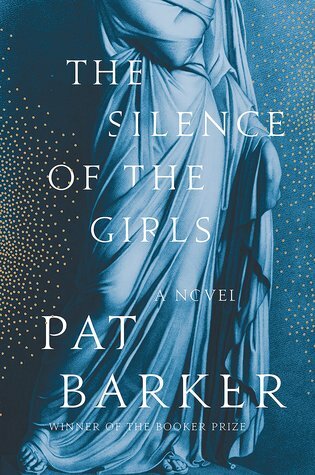 While this is not nonfiction I have heard that they author has done a very good job of bringing a lot of the feelings and events that plagued women during various time periods. I am keen on reading this very soon and I have heard great things. 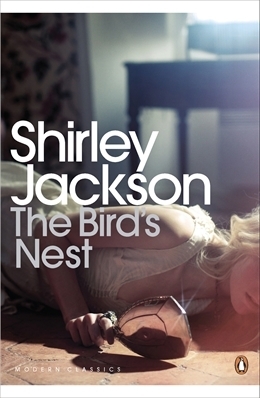 This is the next Shirley Jackson I really want to read. Last year I have discovered her works and I have enjoyed all and some I absolutely loved! This book seems to follow a girl who is gaining more and more personalities that are more and more extreme. 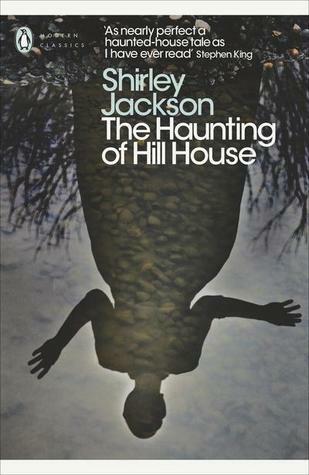 I am unsure if this will be about mental illness or not since the author writes horror and its could be possessions, but I am very curious to find out how Jackson is going to shape this story. Murder mystery, Freaky Friday, and thriller all mixed into one has me very interested. The description of the book just says there are 8 days and 8 witnesses and the. main character needs to figure out who the killer is by reliving the day over and over again, but from different bodies. 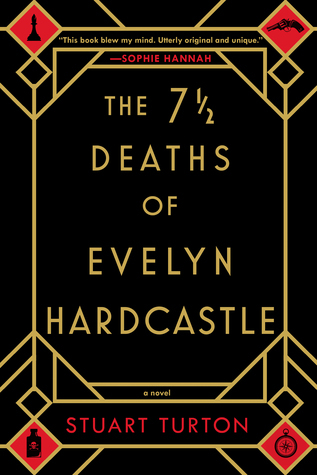 I am think this is very clever and interesting way to write a murder mystery/thriller and I am really excited to see how it was executed. What book do you want to read this year? I don’t know about you, but I have seen a lot of ‘100 Books You Must Read in Your Lifetime!’ articles. All of them seem different, some focus on more modern books and others on classics. 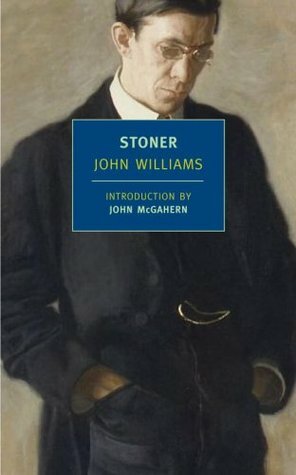 In November 2018 I happened to come across a poster on amazon while shopping for my friends and families and I really liked that it had some classics and more modern books on the list as well. It was called, Gift Republic 100 Books Bucket List Poster (not an affiliate link). So of course, I ended up buying it for myself. While this is not the best picture in the world of the poster, you can see that I have read 20 21 of the books already on this list, I missed The Time Machine on my first look through. Overall, reading 21 books is not a horrible start if you ask me. I thought it would be fun to share my progress on this poster throughout the year and see how much progress I make on this bookish bucket list. What book is on your bucket list? Early in the week I talked about the worst books I read in 2018, while that is not the most positive approach to talking about reading, I think it is important to share all aspects of the reading year and have some great discussions. But, I will admit I am must more happy to share the following books because these are ones that have stuck with me and I know will continue to do so. One I even finished on the first day of the year and I still recommend it all the time to everyone. I never thought that it would happen, but it did! Also, all of the books on this list I really do recommend you looking into, I loved every single one of them and if they are in a genre that you enjoy I don’t anticipate you being disappointed. Without anymore rambling and gushing, here are the books! 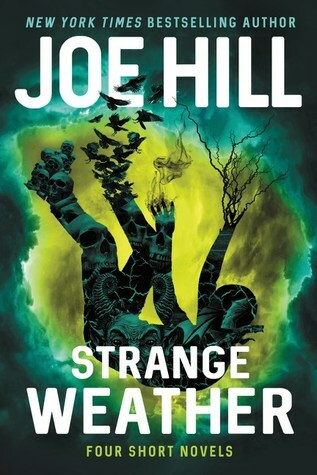 There has never been a short story collection where I have loved every single story, but somehow Joe Hill has managed to do that with Stange Weather. Each story was very unique and I can see myself rereading this again and again. I am actually kind of tempted to reread them as the weather conditions show themselves. 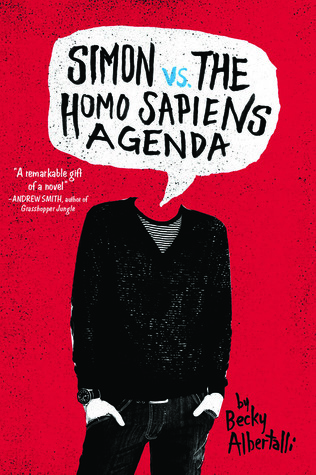 I read this book in a single day, and when I first reviewed this on good reads I said “Have you ever liked something so much you couldn’t really express how why you like it so much all you can say is, “READ THIS, IT IS GREAT! JUST READ IT!”? Yeah well, that is me with this.” I am happy to say that this feeling has held up. 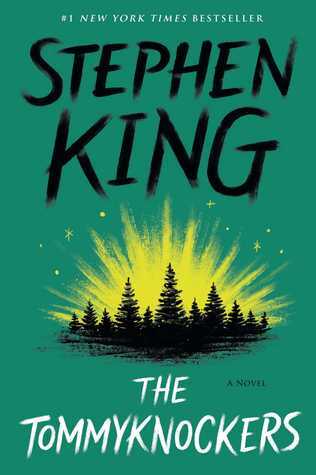 I picked up this book mainly because Joe Hill and Stephen King both have raved about it. Well, because of them I found a new favorite author. Even though this is a short novel, it really is scary. I never had nightmares from watching to reading horror, but with this book I did. It was not really a full on nightmare, but I had a dream I was in Hill House. Even while I was in it I knew it was a dream and I started to laugh. The writing was magnificent, the characters were so distinct and interesting. and the style in which she writes is very effective. 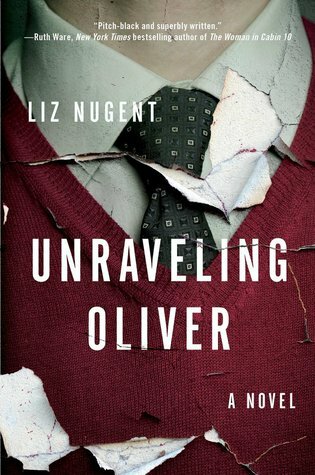 Of the multiple Liz Nugent novels I read this year, I would say that Unraveling Oliver is my favorite for a few reasons. The first being it was the first book of hers I read and she has quickly become one of my favorite authors. Her writing is just enchanting. 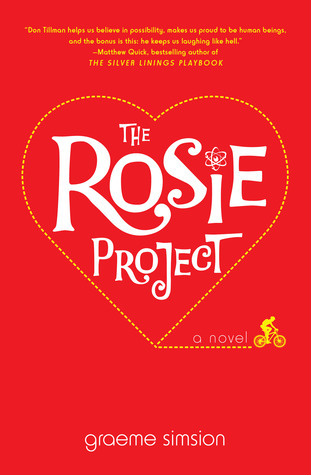 While I read this novel I was shocked, heart broken, irate, and heart warmed. It show cases how horrible and also how good people can truly be. This is really an amazing thriller even though you go into the book knowing what happens. In my eyes, only a really gifted author can pull that off. I adored this novel. 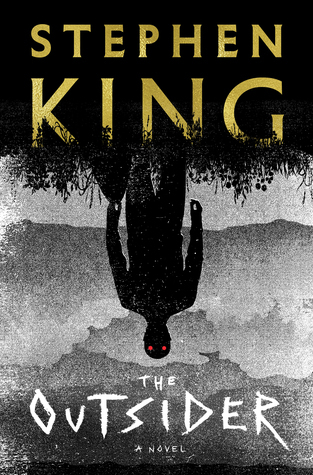 It had the perfect balance of the real world and monsters and paranormal features I look for in King’s novels. The monster he created was so interesting and I really liked how he pulled from myths and legends to do this. I also liked the fact that the characters felt real, also there was a nice bonus of seeing a character I never thought I would see again. When it comes to those who are just getting into nonfiction, this is the first book I recommend them. The first reason being it is a well researched and presented work. The second being it written in a manner that reads like a story instead of a textbook, which is always hard to do when it comes to properly researched nonfiction reads. You can easily tell the effort that went into collecting all the articles and penning this work. 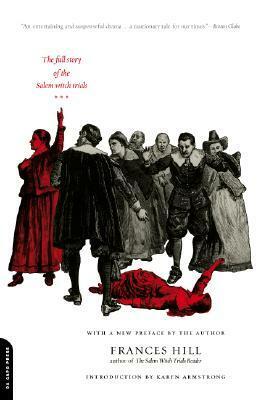 Additionally, this book talks about the Salem Witch Trials in a way that respects those who were affected by it, but does not interject feeling or emotion into it. This truly is the best nonfiction I have read all year and continues to be one of my top ones of all time. One thing I have to say about this book is the fact I did not expect for it to be rated so highly. I just thought I would enjoy it because I watched the movie adaptation long before I even knew there was a book. When I did read it, I learned that the book was very different, but I fell in love with it anyway. I loved how the sisters were more involved and the way the plot turned and twisted. It was beautifully written and really hypnotized me. When I picked up this book it was really hard to put down. I also saw some characters in new light. 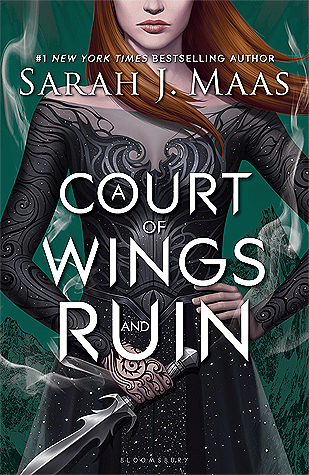 This look truly is a wonderful story of family, magic, curses, and secrets. 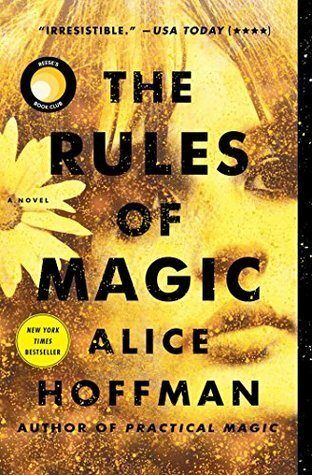 In fact, I picked up and read the prequel The Rules of Magic, which I loved as well, but it made me treasure this story even more. While this was a really difficult list to make, because I was so fortunate to read so many great ones, I really enjoyed making it. I love talking about book and I love sharing the ones I really enjoyed hoping that you all will enjoy them just as much. What books did you adore this year? 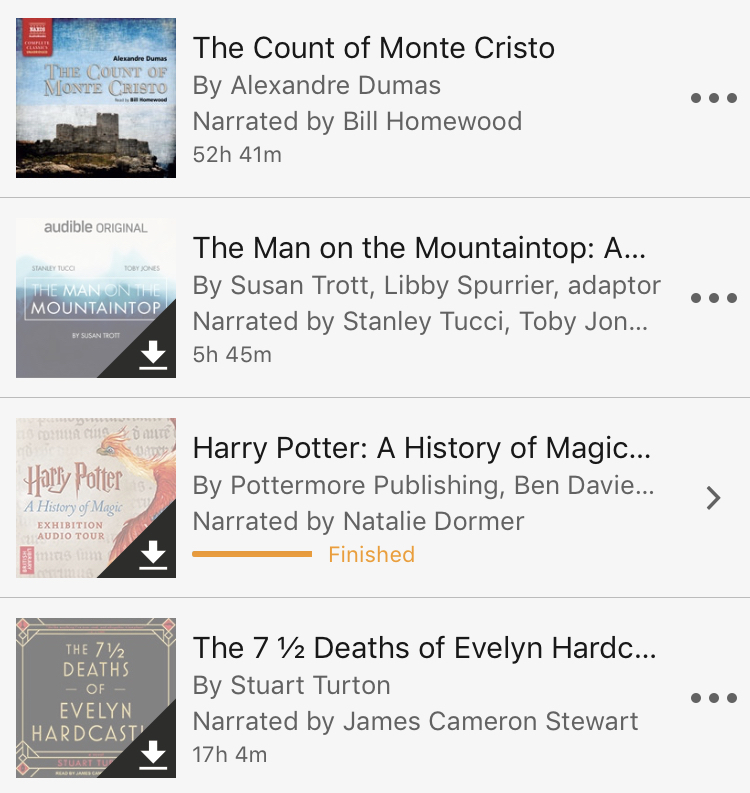 So, with all the reading I have done over the year, right around 100 books. I can say that I have read some good books and some not so great ones. It is bound to happen for one reason or another. 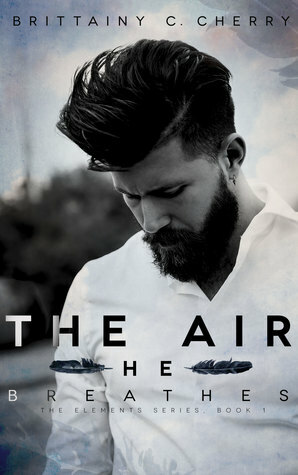 It could have been the fact I took a chance on a genre I don’t normally read, it was a book club pick, or it just didn’t live up to my expectations. It happens from time to time and there is nothing wrong with that. Now books are very personal experience, that is the beauty of them. I may get the saying wrong, but I think it goes that people can read the same book and get different stories. I think it is very true, that is why I love books some people hate and some people love the books I am not too fond of and that is okay. Everyones opinions are just that, opinions and everyone is allowed to have them. So, if your favorite book ends up on this list, I am so happy that you liked it, but it was just not for me. Also, some of these I read very early on in the year and I kinda forgot about what happened so I copied and pasted some of my reviews to highlight what I felt just as I finished reading the books. This was not the case with all of the books though. Without more rambling, here are the worst books I read in 2018. I absolute hated this book and I am so upset by it. The writing had so much of the authors opinion in it and it could be very misleading if this is the only book you have read on the Salem Witch Trials. I also did not like how the end note were set up. In the back of the book it lists the chapters then what sources were used. That is not how end notes work. Which sources was used for which topic? This makes it very hard to go back and read the authors sources to compare and do your own research. There are so many better books on this topic that I recommend. I really wanted to like this book, I had such high hopes. I read a view by Jon, and I have to say I agree with him on a lot of his points and I wish I could have explained myself as clearly. 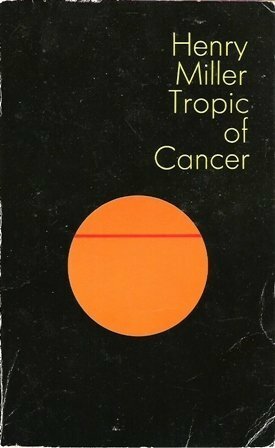 So, this was a really weird book. While I did read the entire thing I can’t really tell you what happened if that makes sense. As the story progresses it does get a little more coherent, but it never becomes tame in any shape way or form. I would never have read this book on my own that is for sure, the description is not something I would normally be drawn to. I honestly can’t really suggest this book to anyone though. So I was super excited to read this book, I ended up being disappointed. 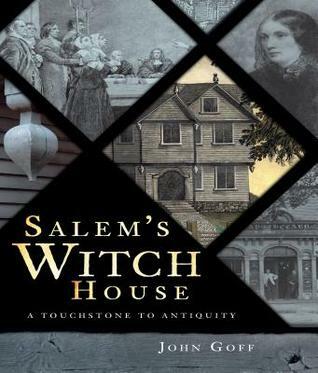 The book was more of a history of who lived in the house and what stores it had been and less about the role it had during the Salem witch trials. While it was interesting I found the name it be a tad bit misleading so it left be just feeling like I missed out on something. If you know nothing about the history of the house and such, this would be a good read for you. 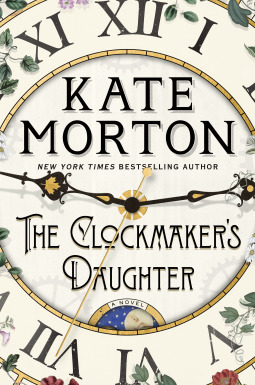 This one I wanted to love, it was a historical fiction read, which I normally love and it sounded like such an interesting and magical story. It turned out not to be so magical to me. The authors writing is beautiful, but the story just didn’t really wow me. 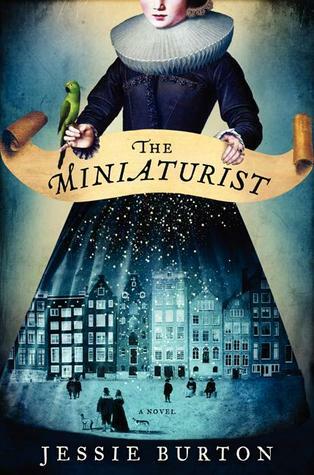 I am thinking about trying another one of her books, because like I said her writing is beautiful, I Just did not like the story all that much. While, I do think it highlight some things in the past that were just truly NOT OKAY, I was left feeling blah about the whole thing because it was not really addressed. 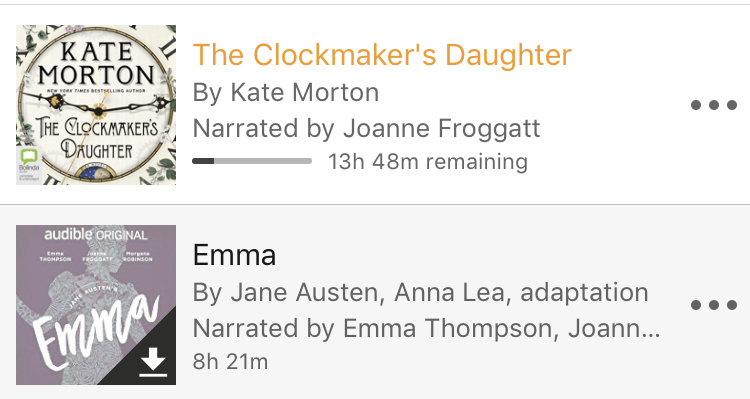 I will openly admit that if I did not have the audiobook I would never have finished this novel. While I love a lot of King’s writing, this one is a bit of a bust for me. I did a bit of researching to see if I was the only one or not, but it seems I am not. I have to admit that this article explains my feelings as well as says my thoughts on this novel very clearly. It is all over the place, longer than it needs to be by a lot, and just seems to loose the king flair that I enjoy. I don’t really know what happened to me when I was reading this book. The first two books in the series I did enjoy very much. This one I felt was annoying and I wanted to skip around a lot. I wanted to just find out the main stuff and move on. I felt like there was just too much drama for the sake of drama and it just added pages and not really much to the overall plot. 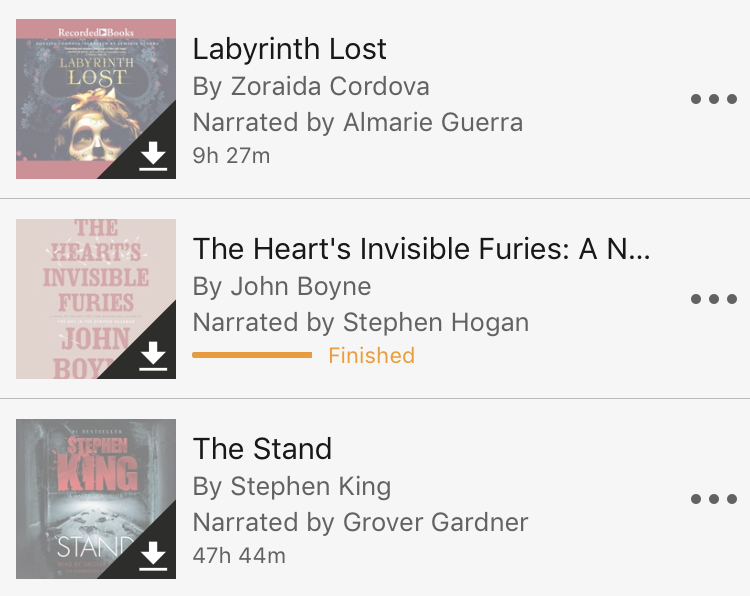 I did not get the novella that is set after this, I may get it from the library at some point because I know there are just some duds in a series, but I want to make sure before I spend more of my money. So when I picked up this book I was sure it would be more along the lines of Weird Things Customers Say in Bookstores by Jennifer Campbell, which I loved! This on the other hand was dull and mundane. 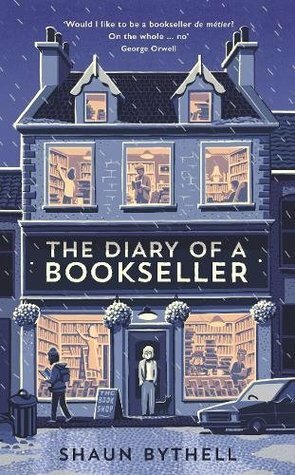 It was more of what the owned did and the daily workings of a bookshop and not really to much about the interactions with the customers. I also found that there was a lot a repeating of the same things happening over and over again. While I can see why some people would like this book, I was left a disappointed. I can see why other people like this book so much, I am not saying this is a bad book by any stretch of the imagination. I really enjoyed the first part of this book, but the second part of the book totally lost me. I felt like the main character just got things or things just happened to the main character without there being any real time given to acquiring them or working for them. Just BAM, amazing thing happened/brilliant abilities! 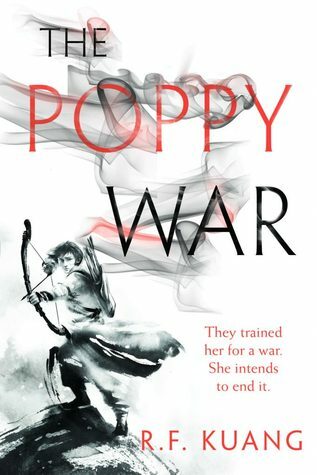 This book just is not for me, it is for you if you like… Individual fighting for a cause, Fantasy, YA transitioning to adult, rags to riches in a way, not exactly and an individual taking on the Empire. There you have it, the worst books I read in 2018. All of these are the only books I rated below average and I have to say there aren’t a lot of them. To read about 100 books and only 8 fall under an average rating is wonderful. Plus, like I said in the beginning, these are just my personal feelings. These books are great reads for many and I am truly happy about that. What book fell flat for you this year? Since I was young I have been a fan go Megan Mullally. I remember sitting up late at night and watching her on Will and Grace and loving her funny character. 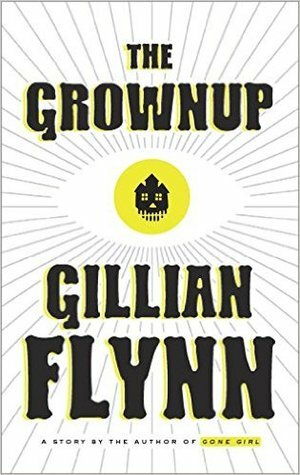 I have seen many interviews of her throughout the years but since the release of her book with her husband Nick Offerman I have been seeing a lot more. One I saw in particular made me adore her even more. She was on USA Today and did a book specific talk with Nick. You can find the video online here. I watched the entire interview and I did not realize that she was an avid reader and kept a list of books she adored on her phone. As a book nerd I can relate to having one of those. In the interview she was asked what books would you recommend and she pulled out her phone and read off a list that she loved and Nick even commented on enjoying quite a few of them. I thought it would be fun to share the ones from her list that I am interested in reading. I found this one interesting because this seems like a wonderfully heart breaking book. I feel like it would be beautifully written and I would be very connected to the main character. I would feel empathy for him and want only his happiness while his like takes some turns. I feel like this book would be an interesting read that looks into gossip and how it could be dangerous. 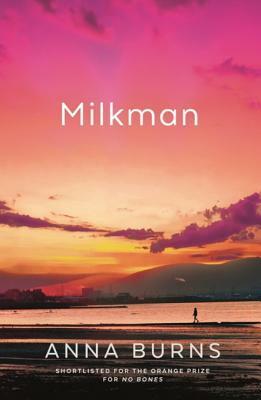 I also want to know what happens with the milkman because the description just tells you the main character just has a “encounter”. 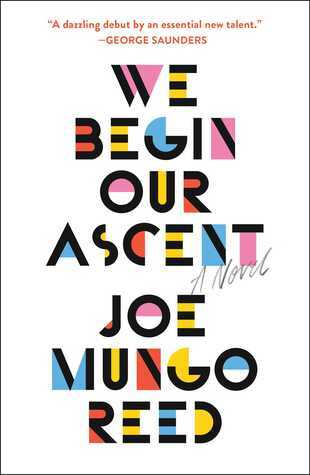 This books seems like it is about a couple with a bright future that take a turn that no one expected. For some reason I enjoy reading these types of stories not because I want to see successful people fail, but to remind myself that anything is possible and things don’t always look as they appear. I find myself thinking that this book could represent that from the description. 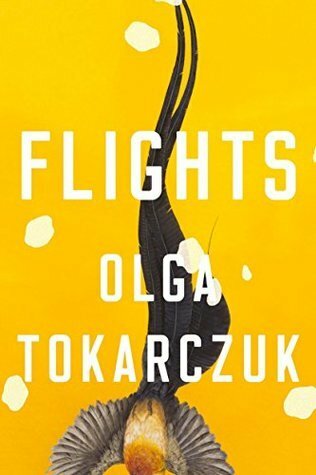 I have found that over the years I have not read a lot of translated books, and while this list is filled with them, this one sounded really amazing. I find it hard to put into words what this book is about. It seems almost mythological and whimsical, but also has a deep story to tell. While this is not the complete list of books that she recommends, please go watch the interview, it is a great list of books to try. I find that reading books that people I admire read helps me find gems that I would not have found on my own. I am hoping that this idea translates well from my friends and family members, but also to those I have watched as a fan for some time. Have you ever read a favorite book of a celebrity? Which characters or creatures would die first if they were in a horror movie? While I adore Amy when she is an adult, as a child she is quite annoying and does not always listen to the rules. I feel like she would be sneaky and do something that she thinks would help her and then back fire pretty quickly. As you can see from this meme of the Little Women, this is a very famous quote of hers when she is younger, it kinda proves my point. Check out the awesome illustrator Susanne! While I love Cath and relate to her a lot, I feel like her head might be plotting her fan-fiction while she should be on watch. This would lead her to be distracted and then end up being her downfall sadly. 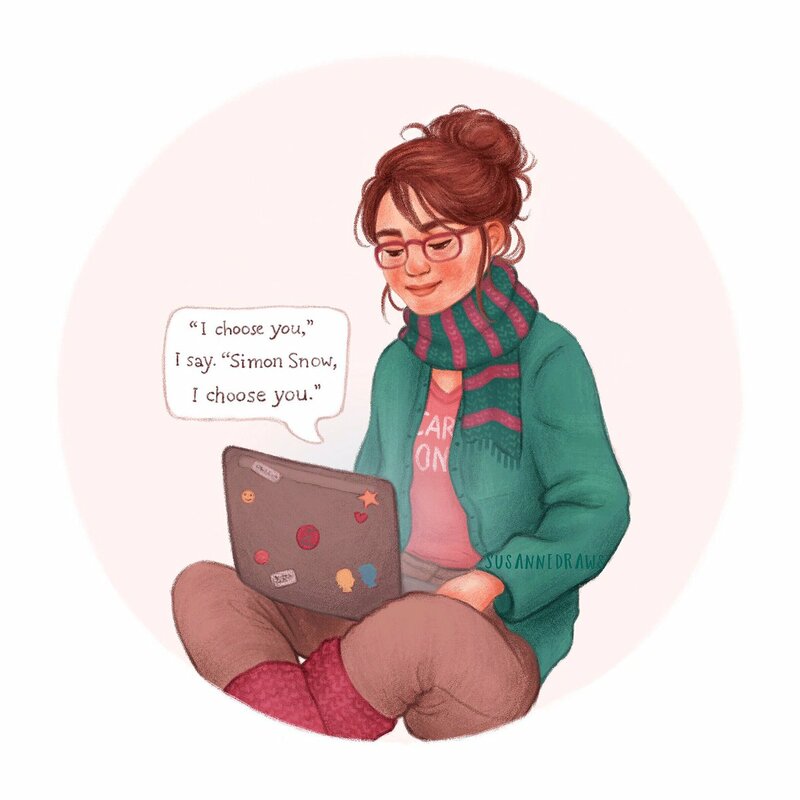 You can see in this awesome illustration by Susanne she is so engrossed in her fan-fiction and not thinking about anything else. While Amelia Bedelia is a very loved childhood staple that I can relate to, chances are she would be given instructions and would misunderstand by taking a phrase to literally and then end up in a not so good situation. As you can see by her image, she is a very happy and kind lady, I hope I am wrong about this one. What book character do you think would not make it through a horror movie? Which 5 Thriller books do you love and why? Lying in Wait is one of my favorite thriller I have read this year. Even though you know who the murderer is as soon as you pick up this book. You are still surprised why what happened in this novel. The characters are rich and their personalities are distinct. The human nature that is explored in this domestic thriller are just jaw dropping. I wrote an entire review on this novel, REVIEW | Lying in Wait by Liz Nugent. Unraveling Oliver is the novel that started my love of Liz Nugent. Her writing is just mesmerizing. 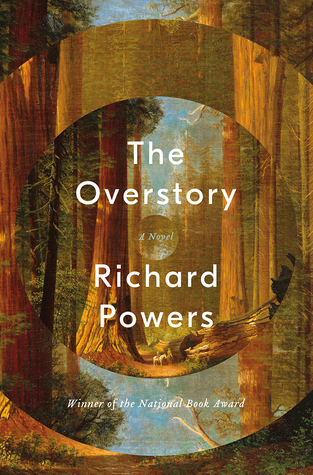 This novel was shocking and showed a disturbing side that can be hidden inside human nature. I also loved the rich characters that were in here, which some were horrible people with no redeemable characteristics, others were just amazing with their compassion. This is really an amazing thriller and I know I will be rereading this book in he future. This super short thriller is one of my favorites for a few reasons. The first being it really knocked you off your feet. This short story went into a direction I did not believe, I did not think that type of surprise would be possible with so few pages. The second reason is because it is the perfect size. It is a bite sized thriller and I think it is perfect to read if you are thinking about getting into this genre of books. 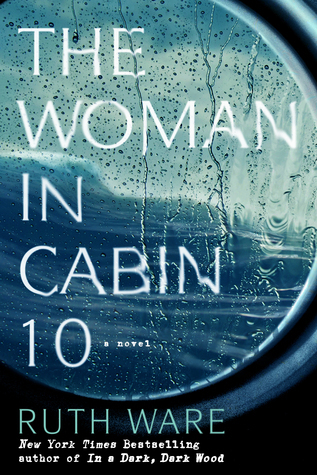 The Woman in Cabin 10 was the first real thriller I can remember reading and it made me very much excited to read more. While this is not the only Ruth Ware on this list, it is something special. Not only does this book have a very interesting setting, on a boat in international waters, it also has some interesting characters. While I read this novel I got Clue vibes, the entire time I was trying to think of the murder weapon and who committed the crime. Also, the ending made me so excited because I truly started to feel for a character I did not think I would care about. For an author to change my few as much as she did, was amazing. 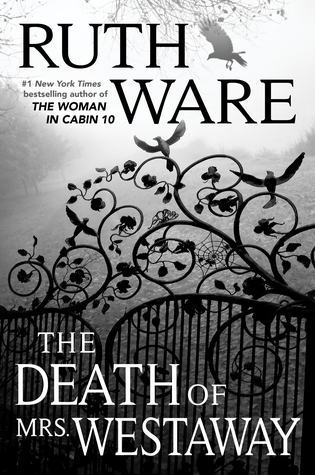 * I received The Death of Mrs. Westaway and Lying in Wait from the publisher via Netgalley in exchange for an honest review. What is your favorite thriller? Which are your 5 favourite Halloween movies that aren’t horrors? 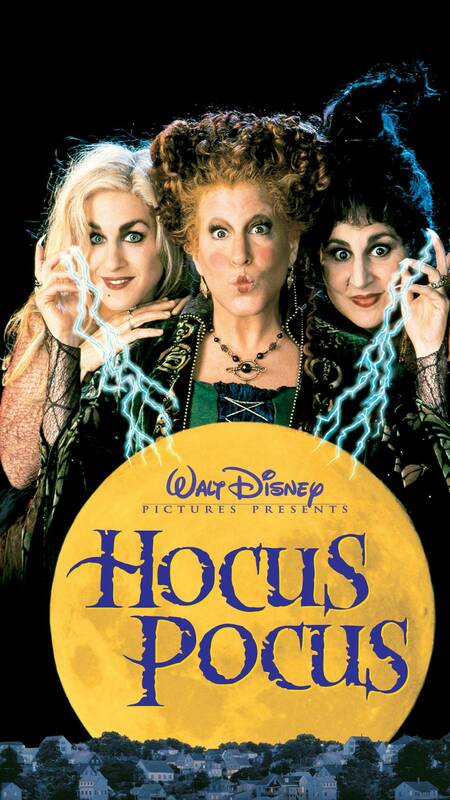 This has always been one of my favorite Halloween/Christmas movies. I think I “borrowed” it from my friend for nearly 3 years and watched it at least 100 times. I say borrow because I would return it ever weekend and then ask to borrow it again. But, the amount that I had it I pretty much owned it at that point. It has wonderful animation, great songs, and can be creepy without being scary. 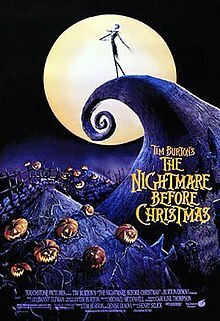 Also, look at the cover of the movie, does the Pumpkin King not look epic? 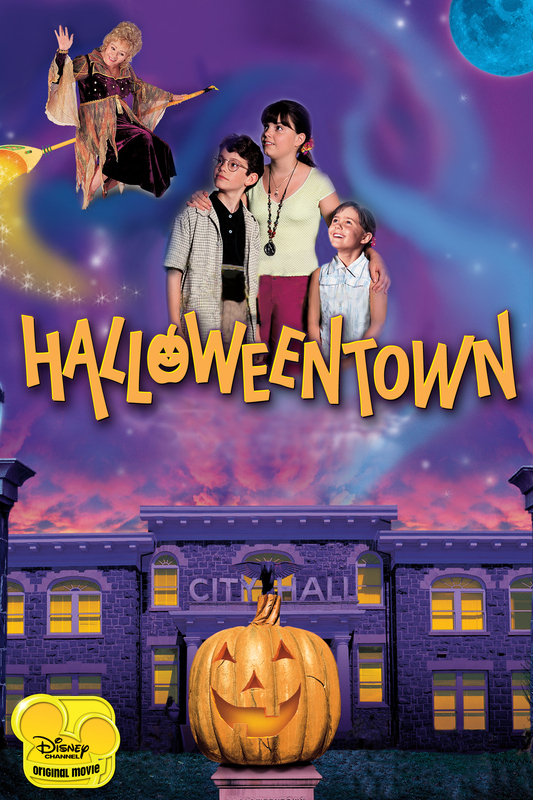 Halloweentown is a very interesting Disney movie. As you can see from the cover it comes across as lively and bubbly. There are bright colors and grandma is smiling bright as can be. While the town is just beautiful and those who like in halloween times are just as bright and fun. Bad things start to happen, this is a wonderful movie that will get you into the spirt and excited for the holiday. I am pretty sure at this point Hocus Pocus is a cult classic. I mean you cannot enter into fall without hearing about the Sanderson Sisters. I really do enjoy this movie. I like that it starts with a tale from long in MA past. There is town folklore that was even created for this movie, which adds even more to the feeling of Halloween. I enjoy that there are times of humor, worry, and surprise. I also enjoy that there are more than just witches in this movie. While Tower of Terror is not traditionally a Halloween movie, I really like watching it this time of year. It has ghosts, creepy histories, and an abandoned hotel. There are missing individuals and a party that keeps reliving the past. It has ghost investigators, but also has some good humor and can be heartfelt as well. It is a great one to watch this time of year. 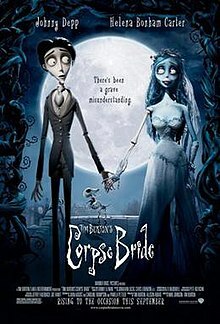 This love story has amazing animation and a great atmosphere that is perfect for Halloween. It is dark and eerie. There are ghosts, talking corpses, and a few misunderstands. There is crime, murder, and a sad story. All of these aspects really make it something I gravitate towards this time of the year. Also, another bonus is the fact that it is set in the past. That always makes things more interesting to me. What non-horror Halloween movie is your favorite?